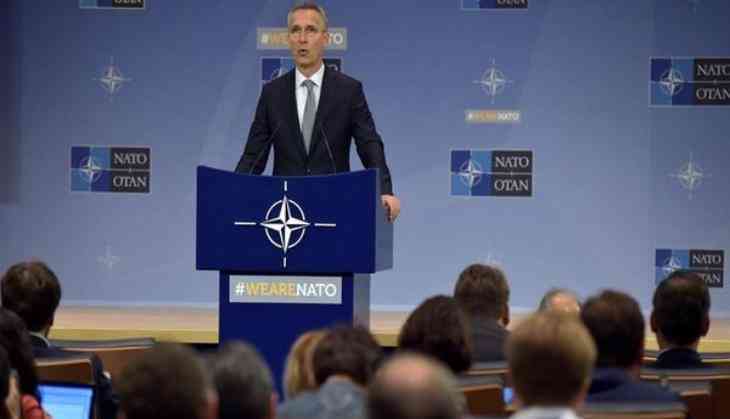 North Atlantic Treaty Organisation (NATO) Secretary General Jens Stoltenberg has said that NATO and its allies have reiterated their commitment to Afghanistan and will sustain Resolute Support Mission beyond 2017. Asserting that the NATO will increase its presence in Afghanistan, he said they will continue to fund Afghan Security Forces through to 2020. "We will also continue funding the Afghan Security Forces through 2020 and we will continue to strengthen our political partnership and practical cooperation with Afghanistan. But NATO alone cannot bring lasting security to Afghanistan," Tolo News quoted Stoltenberg as saying after Thursday's defence ministers meeting in Brussels. He said the NATO's presence is necessary for Afghanistan as in recent months hundreds of innocent civilians have been killed in various attacks in the country. However, he added that the NATO alone cannot bring lasting security in Afghanistan. Stoltenberg further said that 15 nations have pledged additional contributions to Resolute Support at a force generation conference earlier this month. "We count on our Afghan partners to make good on their commitments, including key reforms on good governance and the rule of law, fighting corruption and protecting the rights of women and girls," he said. Speaking after the meeting, U.S Secretary of Defence James Mattis said that he had gathered information from the NATO allies and partners in Afghanistan and will soon put forward a draft plan on Washington's new strategy in Afghanistan to U.S President Donald Trump.